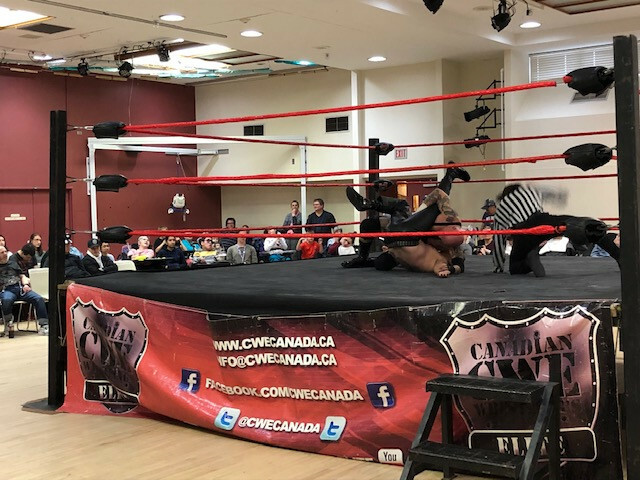 Coming off an unprecedented 32 day wrestling tour from the Okanagan to Sudbury, Canadian Wrestling’s Elite turned in a top shelf effort for residents of the St. Amant Centre on Sunday . 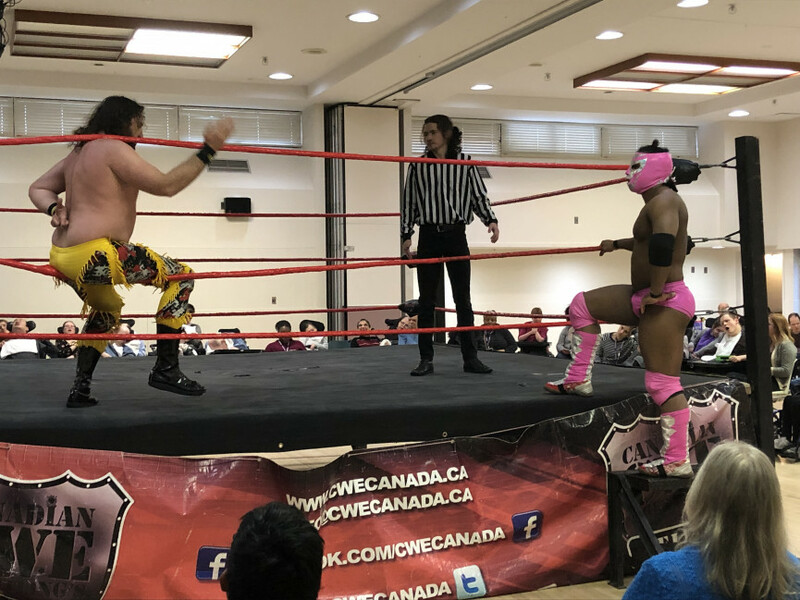 Every one of the wrestlers on the bill has taken part in the tour and most had competed in the 50 Man Rumble To Remember on the showcase Winnipeg event. 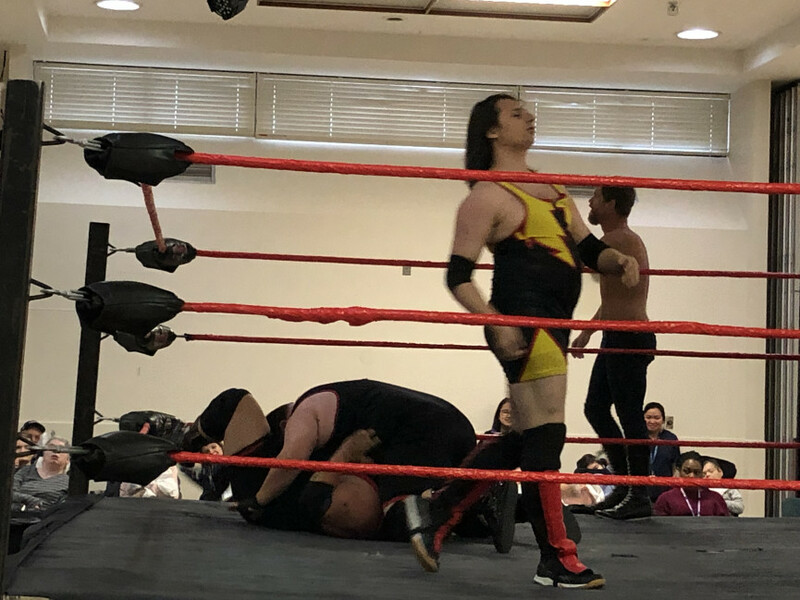 Two young middleweights from western Manitoba opened the event with Brian Rich crossbody pressed and pinned Scott Ripley. The popular Rick Matthews used his guile to outsmart the despised Mastermind Kevin Cannon. 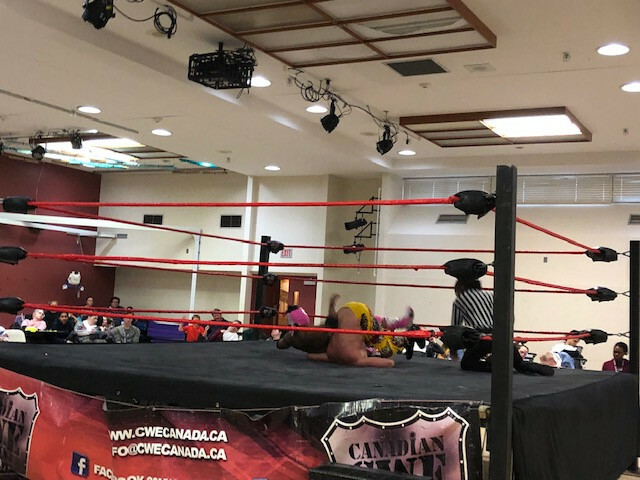 The third bout pitted freshman Sam Davidson of Portage La Prairie against the crazed cowboy Jacob Creed, who could not translate his weight and strength advantage into a victory despite battering the rookie. The CWE Tag Team champions, the 740 lb. 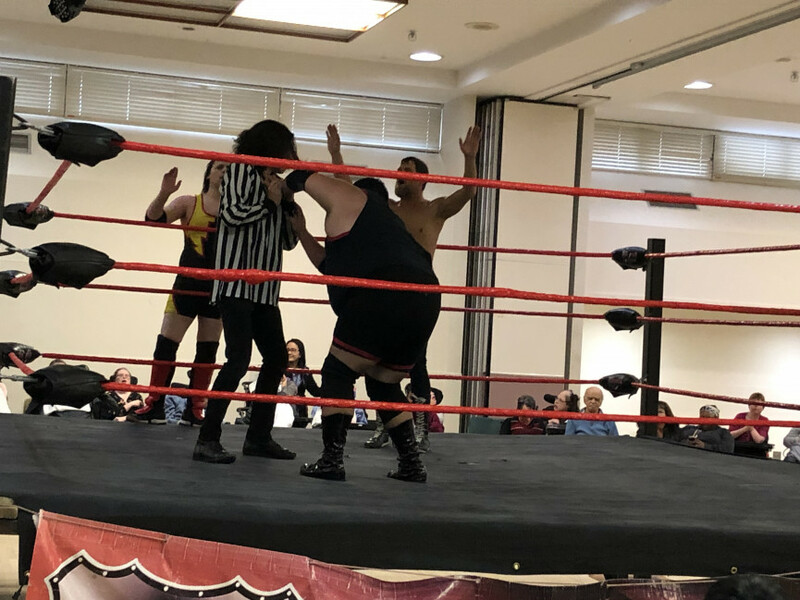 team of AJ Sanchez and Kevin O’Doyle were barely able to retain their belts against the Degenerates (Tyler James and Dragneel). An argument about the qualifications of referee Roy Cheeks turned into an impromptu exhibition where Sanchez was shown up. The challengers put the champs into a few compromising positions before being overcome. 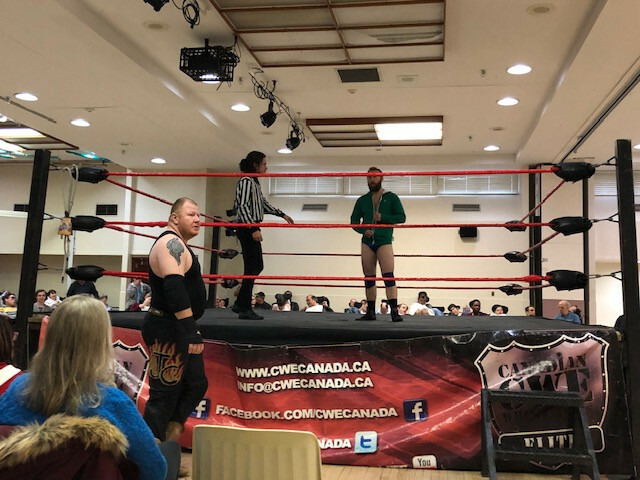 In the Main Event, ‘Jacked Jesus’ Tommy Lee Curtis promised to wage a scientific contest against MENTALLO but his fingers were crossed behind his back. The internationally traveled masked star pulled out a high flying arsenal to dispose of TLC and send the fans away cheering. CWE is next holding events on Tuesday December 4 in La Salle and in Arborg on Wednesday Dec. 5th, headlined by the champion, Hotshot Danny Duggan.